I must admit to being rather taken by the very retro, but in a futurist kind of way if that’s possible, Mutewatch when it debuted a couple of years back. 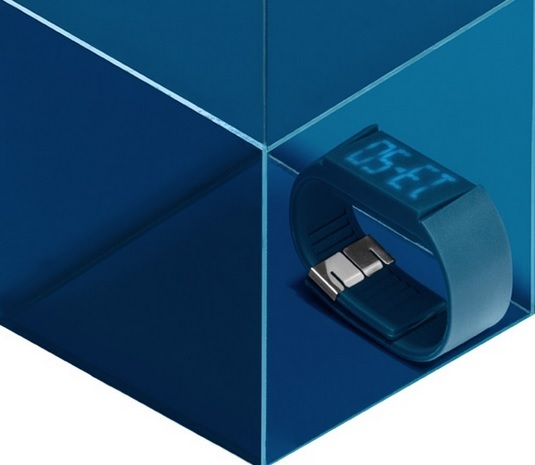 This was very stylish minimalist watch that boasts a hidden touch screen and a silent vibrating alarm. You basically had to touch the screen and then swipe through its various options – clock, alarm timer etc. It was elegant intuitive and loads of fun. It really didn’t feel like watch to be honest. So it is great that the company is back with a trio of new versions of the Mutewatch in Nova Purple, Indigo Blue and Ivy Green. They retail for £199 and are available on Mutewatch.com from June 13, and in retail stores around the world from the beginning of July.